Early Christians, and particularly the earliest Christian writers, had to establish a discourse that made Jesus’ career reasonable, his unexpected death believable, and their audacious commitment and new collective life plausible. The New Testament’s gingerly application of multiple titles to Jesus suggests a crisis of classification, the dilemma of a signified without a signifier. The New Testament records various solutions to this problem. Two of them were determinative for the study of the messiah. Secondly, the identifies two solutions to the problem in particular. They gave Jesus a “surname” Christ and this term (=Messiah) acquired a supreme significance. Imagine if they had chosen to name Jesus as Jesus Lord or Jesus Rabbi or Jesus Son of Man instead of Jesus Christ. The New Testament authors turned the Hebrew Scriptures into the foreshadowing of Jesus Christ‘s career, suffering, death. The promise-fulfillment motif was introduced. Genealogies rooting him to the same scriptures were also introduced. 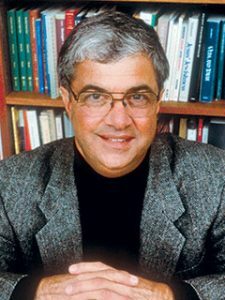 One may dispute the way Green models these developments and propose alternative explanations but his essential points remain valid.
. . . [T]he messiah was rooted in Israel’s past, and his appearance could be tracked and plotted, perhaps even calculated, through time. On the model provided by Matthew and Luke, the messiah emerges not as an abrupt response to a contemporary crisis, but as the ultimate fulfillment of centuries of accumulated hope and intensifying expectation. He is a constant desideratum, an inevitability, an evolutionary rather than a revolutionary figure. In a word, the messiah is the culmination and completion of an ancient Israelite tradition. So Christian ideology or doctrine has subliminally governed the way we have read the Jewish writings. We have continued to read messianic promises, expectations, hopes, into them. That is, if the evidence (in this case, the merely incidental references to messiah) does not support the picture of widespread Jewish messianic expectations, then the scholar is urged to interpret the texts as “implying” the scholar’s assumptions, and to interpret the non-messianic texts as messianic ones. These arguments, which are representative of a type, appear to suggest that the best way to learn about the messiah in ancient Judaism is to study texts in which there is none. He then demonstrates (pp. 135- 40) that at least four non-Davidic understandings also were possible. Another consequence brought by Green is that scholars have assumed as an article of faith that the messianic idea can be traced as a single trajectory from Biblical through to Rabbinic times even when the evidence fails to support or even contradicts this scenario. Hesse’s words as quoted by Green pointedly illustrate the problem. Despite scanty data that cannot be dated with certainty “there must have been” a messianic hope for “hundreds of years” . . . .
Is there also a Judaic bias at work? Yes, says Green. The Jewish interest has been to demonstrate that Christianity’s co-option of the messianic idea is but a poor substitute for “the real thing”. That is, Christianity merely has the ethical and universalistic elements without their true complements. Green, William Scott. 1987. “Introduction: Messiah in Judaism: Rethinking the Question.” In Judaisms and Their Messiahs at the Turn of the Christian Era, edited by Jacob Neusner, William Scott Green and Ernest S. Frerichs, 1-13. Cambridge, Melbourne; Cambridge University Press. Posted on 2016-07-30 00:35:16 GMT+0000 by Neil Godfrey. This entry was posted in Messianism and tagged Carrier: On the Historicity of Jesus, Messianism, Second Temple messianism. Bookmark the permalink. Christ could have been the messiah in the sense that his atoning death paid the sin debt and reconciled man to God, thereby initiating the end of days as the “first fruits (1 Corinthians 15:23)” of the general resurrection. The senses of a word are established by its usage. Is that sense apparent in any non-Christian usage of the word? This seems pretty persuasive. So, along with the Jesus Messiah character the idea of Jesus expecting a Messiah is a myth created with the Jesus myth. That seems probable.